Hard to believe it has been a whole year since Laurel and Hardywood! But it has. I thought since I sent out a preview of each day of the upcoming convention exactly one year before the convention itself, it would be fun to send a review of each day of the convention exactly one year after that date. We can take a little trip down memory lane together, or in this case Hollywood Blvd. I got to tell you it feels much better a year after the convention doing this than a year before sending the preview! Pre-convention conventioneers who signed up for the Habeas Corpus Tour loaded in coach buses and drove over the hill to Forest Lawn Hollywood Hills to pay our respects to Laurel and Hardy related film stars: Alf Goudling (director of the Chumps at Oxford), actresses June Lang, Iris Adrian and Jean Parker, actor Reginald Gardiner and composer T. Marvin Hatley. Other stars included Bette Davis, Morey Amsterdam, Liberace, Charles Laughton, George Raft, Freddie Prinze and Coach John Wooden. 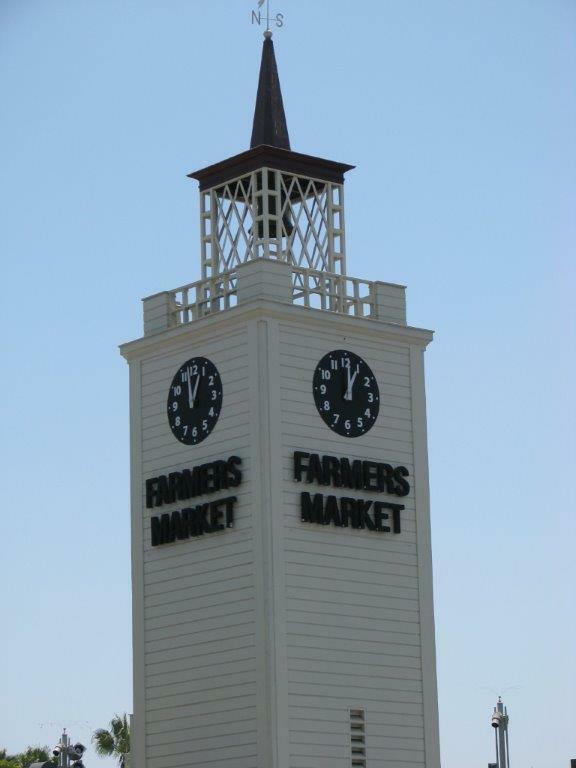 The group broke for lunch at the famous Farmers’ Market in Hollywood. 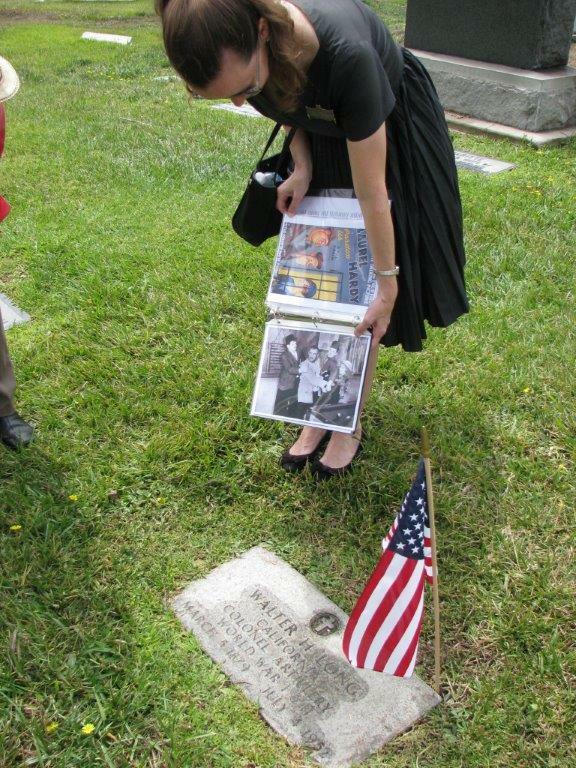 Then it was on to Culver City’s Holy Cross Cemetery where Laurel and Hardy alumni Edgar Kennedy, Della Lind, George Marshall, Ray Bolger, Jack Haley, Jimmy Durante, Bing Crosby and ZaSu Pitts were pointed out. 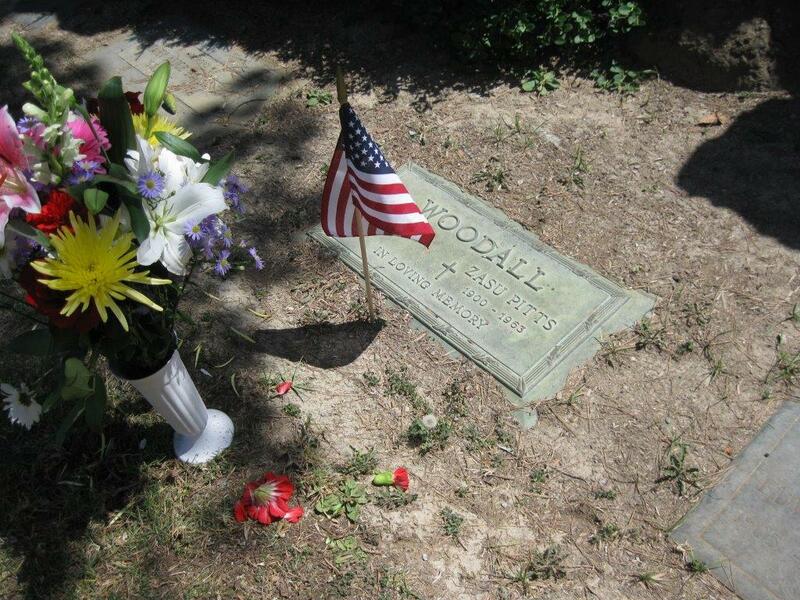 Other celebrities graves included: Fred MacMurray and June Haver, Joan Davis, John Candy, Bela Lugosi, Charles Correll, Fibber McGee and Molly, Rita Hayworth, Sharon Tate and Charles Boyer were also visited. 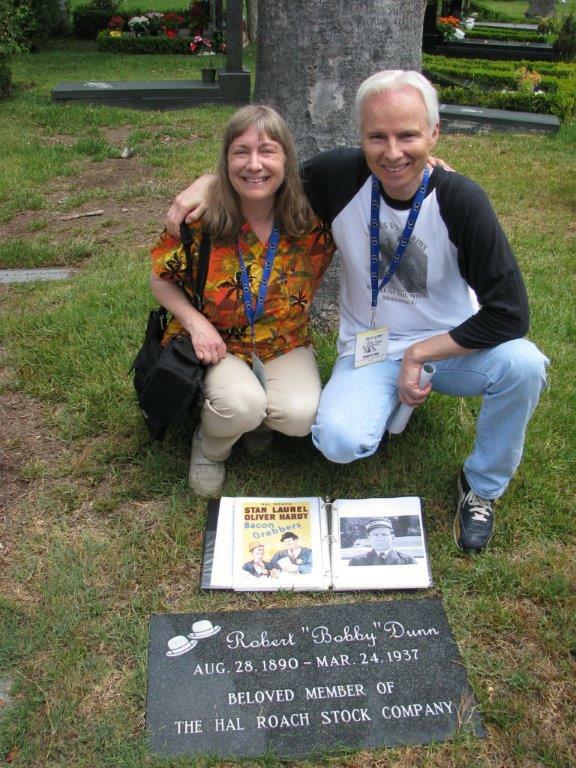 At Hollywood Forever Marcia Opal and Richard Bann pose in front of Bobby Dunn’s marker. 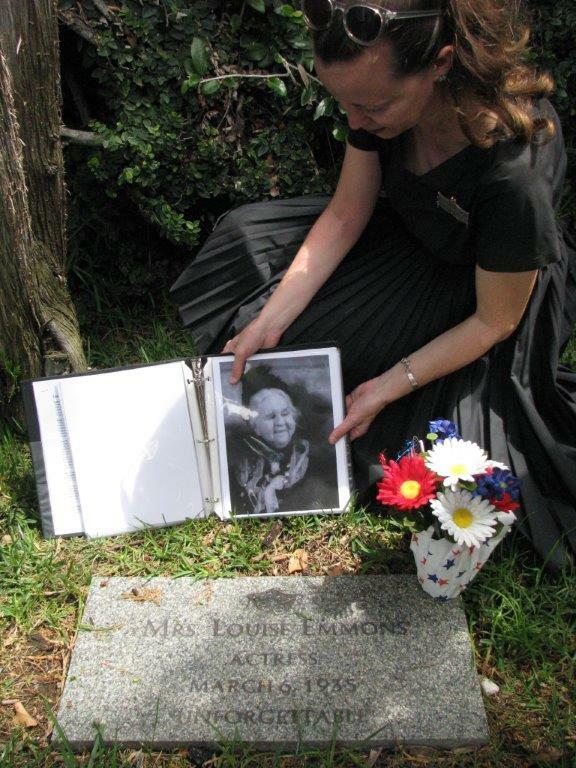 The grave stone for Bobby Dunn was placed in the last few years as he was buried in an unmarked grave after passing away at the Motion Picture Home. 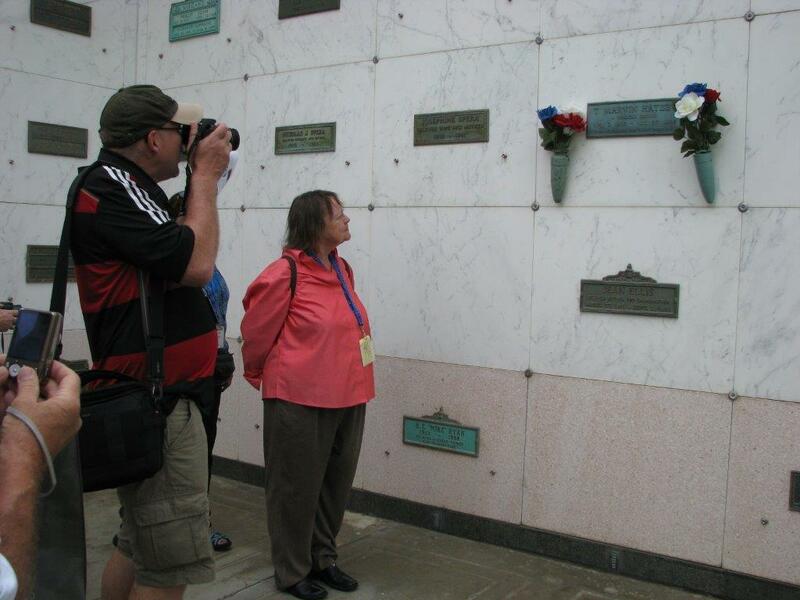 Tour guide Karie Bible displays a picture of Mrs. Louise Emmons of Our Gang fame as her marker was recently placed by a small group of fans after being unmarked for almost 80 years. 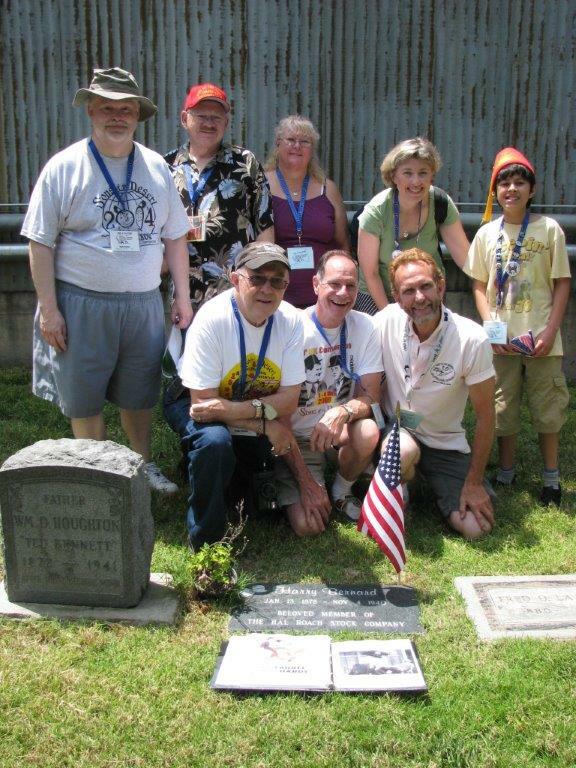 Sons pose with Hal Roach stock member Harry Bernard’s marker. 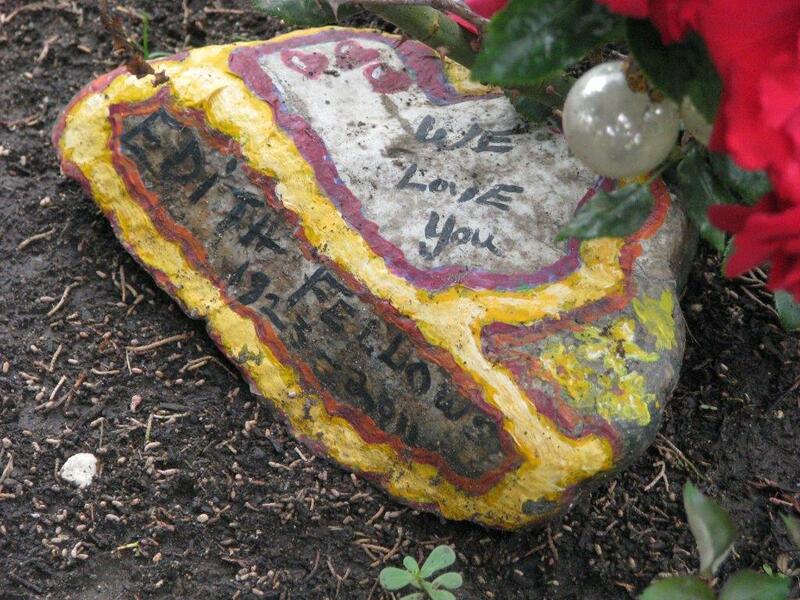 The grave stone for Harry Bernard was placed in the last few years as he was buried in an unmarked grave after passing away at the Motion Picture Home. 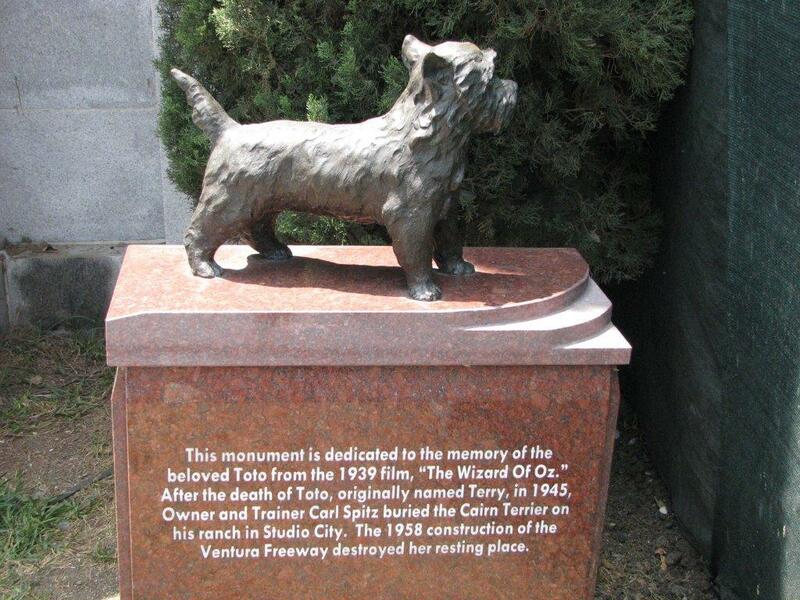 The recently placed cenotaph for Toto from Wizard of Oz. Actress ZaSu Pitts grave at Holy Cross Cemetery in Culver City. 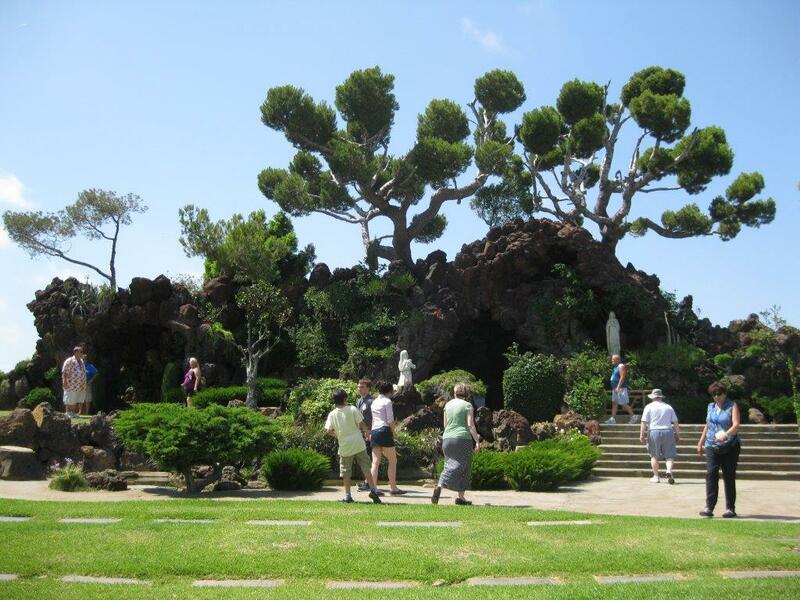 Sons search the famous grotto area of Holy Cross where Bing Crosby, Jack Haley, Bela Lugosi and many more are buried. All pictures are courtesy of Marcia Opal.